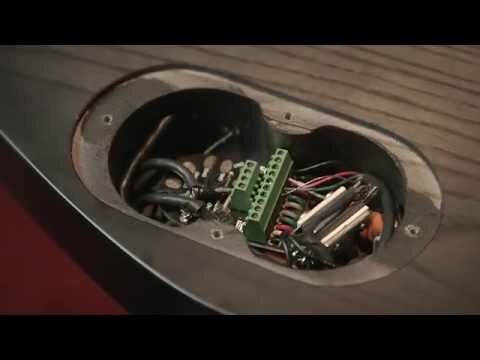 With a Liberator installed in place of a volume pot, changing pickups becomes fast, easy, and solder-free, AND just as reliable. In fact, it’s more reliable than a less-than-perfect solder joint. You simply insert the bare end of each pickup lead into one of Liberator’s pickup connector stations and tighten the screw-clamp to lock it down. Turning the screw lifts up a carriage that locks the wire against a fixed pad, securing the connection in place. It’s completely simple, and completely solid. The Liberator can be used with any type of passive pickup, and is perfect for those of us who love to change our sound on a regular basis. This is the 250k version and can be used with single coils or HSS (hum-single-single) setups.